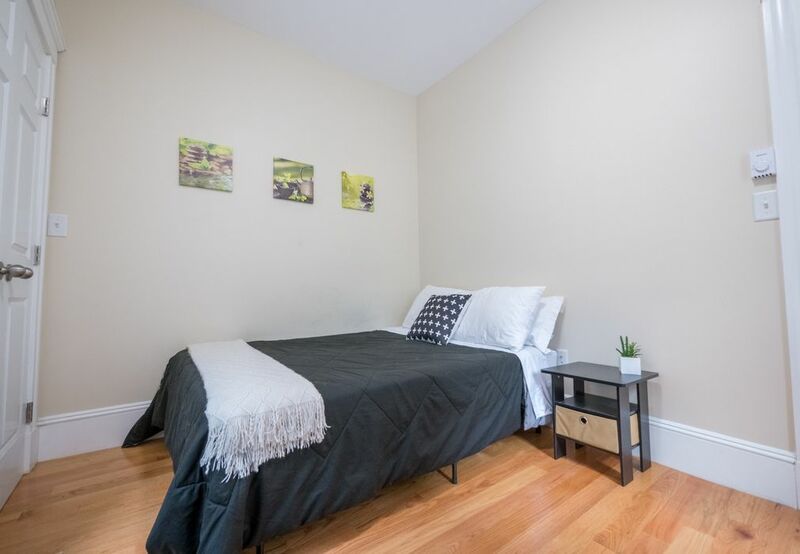 Enjoy living in the student housing at 887 Huntington Avenue, just around the corner from the Emerald Necklace, an extensive green space with parks, bike trails, and waterways. Grab a sandwich at Joseph’s Sub Shop & Pizza eatery across the street, then take a 15-minute stroll to check out the world-class art collection at the Isabella Stewart Gardner Museum. On the weekend, explore Brookline Village, a five-minute walk away, to discover a thriving scene with a farmers’ market, cafés, and local shops. Or make your way to Downtown Boston on the subway, located just a two-minute walk away. 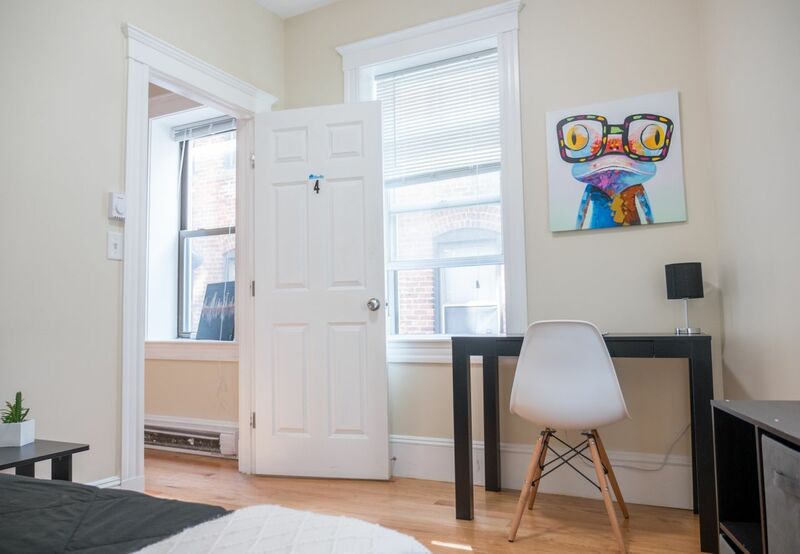 Move into a newly renovated four-bedroom apartment in a historic building at 887 Huntington Avenue, Boston. Before you head out to class, get washed up in one of the two bathrooms. Heat up a quick breakfast and cup of coffee on your stove, then sit down at the bar table with wooden stools to scroll through your messages. Fill up your backpack with your notebooks, then make your way out the door. In less than 20 minutes, you can walk to a number of schools including Massachusetts College of Pharmacy, Simmons College, Harvard Medical School, Massachusetts College of Art and Design, and Emmanuel College. 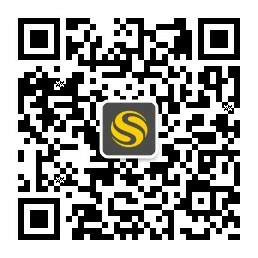 Jump on the subway to reach Northeastern University in only 10 minutes and Boston University in about 15 minutes. On your way back from class, swing by Stop & Shop supermarket, a seven-minute walk away, to buy groceries for dinner. As you prepare your meal, stream your favorite album and call your family back home to catch up news. After you finish eating, load your plates and utensils into the dishwasher, then gather your dirty clothes together from your bedroom. Walk across the wooden floors and bring your laundry to the shared washer and dryer in the building. When the weekend rolls around, plan an evening out in Downtown Boston with your friends. When you come home, ride the subway that drops you off just two minutes from your new apartment at the Mission Park or Riverway stations. 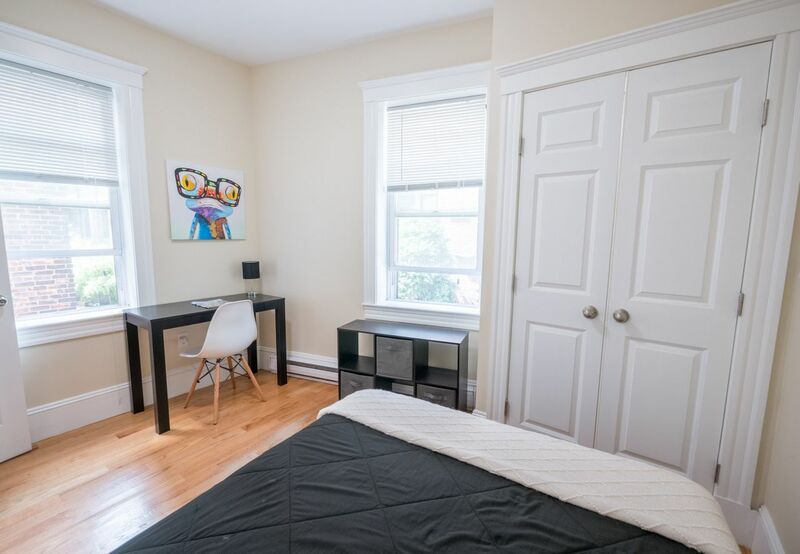 Wir haben leider keine Unterkunft gefunden, die deinen Wünschen entspricht.Alle Privatzimmer in Mission Hill - 887 Huntington Avenue ansehen.